SharePoint Framework(SPFx) is a client side development framework that leverages CSOM, REST APIs, Microsoft Graph and more. Development is done through utilizing open source technologies like Node.js, Gulp, Yeoman, VSCode and more. It supports SharePoint Online and SharePoint 2016 (SP2)+ on-premise solutions. It utilizes context of current user. Previous models like JSLink and SP Add-in had their limitations. JSLink restricted scripts if not marked with “Safe for Scripting” and Add-ins were using IFrame model which are inefficient in modern websites. 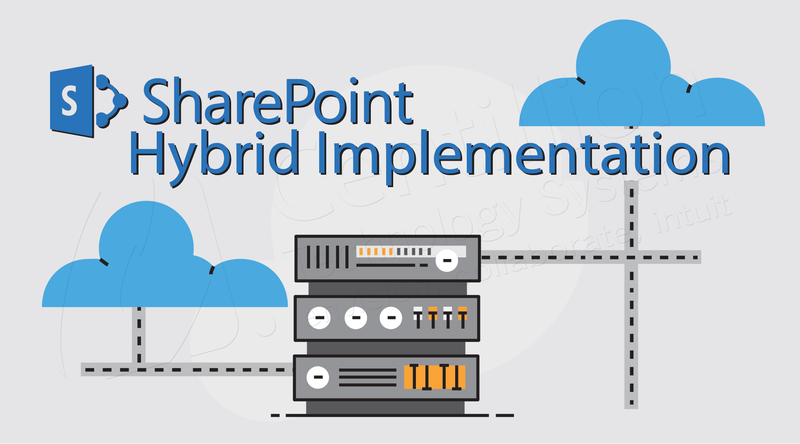 As Microsoft SharePoint Roadmap suggests that future innovations will be cloud inspired, Companies who have invested in their On Premise versions are considering to go hybrid as the first step towards embracing Cloud. Using Hybrid Approach, Enterprises can continue to use their existing portal while gradually migrating it to Cloud. Following capabilities can be achieved in hybrid implementation. There are three ways to achieve hybrid implementations. In this blog, I will focus on Hybrid Search using One-Way Outbound topology. Hybrid Search can be achieved using three steps. Three Identity Models are available. We will focus on Synchronized identity for simplicity. In Synchronized Identity, Identities are managed in on-premises Active Directory and are synchronized to Azure AD through Azure AD Connect. Synchronization also sync password hashes. Here is given the steps to achieve directory synchronization. Update DNS Records (MX / TXT records) in your Domain Hosting Panel. In Office 365, Import users / groups and validate. Activate Users and Assign Licenses. Trust between SP On-Premises and Office 365 tenant (Server to Server) can be established by following below steps. Search Integration process is based on 3 parts. Search Result Source can be configured in SharePoint on-premises by Adding Result Source in Site Collection Administration. Protocol should be chosen as Remote SharePoint. Credential should be chosen as Default Authentication. In case of Inbound, Select SSO ID. You can filter when to trigger remote Query Processor by creating a Query Rule. Specific words can be added as triggers. You can also specify where the result set should appear. By Default, all remote results come on top for easier identification. It can also be set to come in between complete result set. It’s an optional step to verify whether Query Rule has been configured properly and is returning correct result. 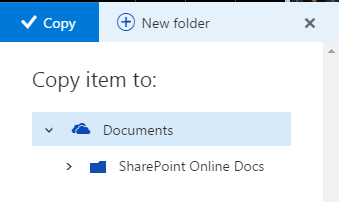 As discussed in last blog regarding UI consistency, Microsoft has recently released similar UI for document library in SharePoint Online that was in Office 365 – One Drive. As I didn’t enable the Office 365 First Release, my SharePoint Online environment didn’t automatically had this feature available. 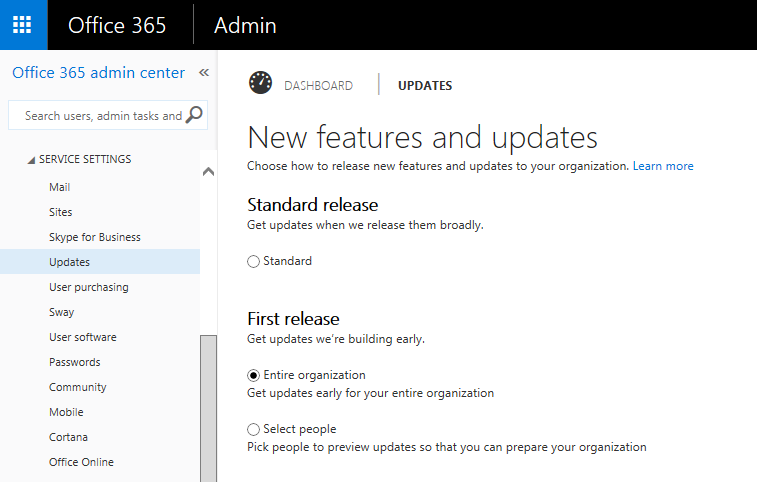 In order to experience it, I enabled the Office 365 First Release Program. First Release enables the immediate adaption of new features as soon as they become available. On the contrary, standard release is received when entire Office 365 community receives it. 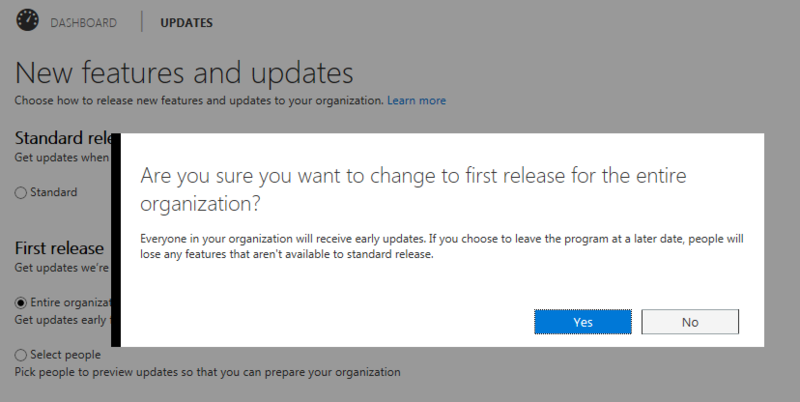 Once First Release Experience is enabled (I selected First Release – Entire Organization. 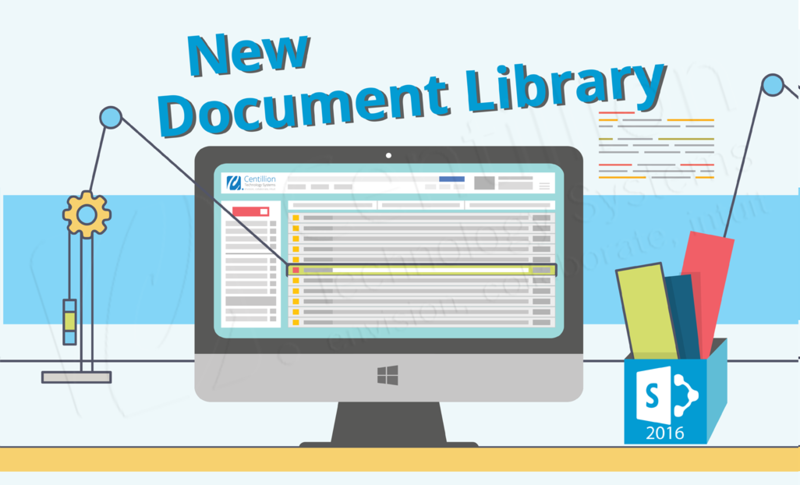 You can also select First Release – Choose selected people), Document Libraries will automatically give you option for Check Out button. Clicking on checkout will change your document library UI to Office 365 One Drive for Business UI that was rolled back in Oct 2015. There are multiple enhancements done in new look. Here is a glimpse over those features & functionalities. Breadcrumbs are designed intelligently. 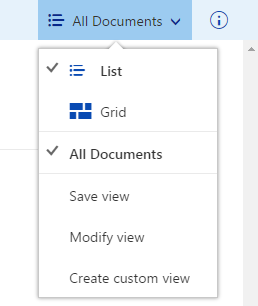 As you dive deep into folders, initial parent folders will be hidden in … and as you click on that, it will reveal the parent folder in modal dropdown view. 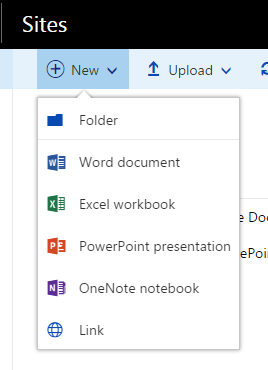 Submitted to Microsoft User Voice: Large folder names shall be either adjusted by giving higher weight age to last entry or to make folder name visible on breadcrumb hover (already submitted using Microsoft user voice). Extended Navigation will be enable as soon as you make a selection. Different options will appear for single / multiple selection. Here are the key highlights for single file selection. On selecting a file and click on information icon (I) in top right, it generates a preview for known file type. You can browse through the document through this preview pane. Other attributes like Name, Title, Created By, Modified By, Version History, File Type, and Path will be displayed below preview pane in right section. Under sharing option, user can share the file directly by specifying the user or can share global read access link or global edit access link for selected file. Users can also get this link by clicking Get Link in top navigation. Frequently accessed documents can be pinned by selecting Pin option in top navigation. It automatically generates the image of the document. Submitted to Microsoft User Voice: When documents are pinned, it generates an automatic image which doesn’t always communicate the document essence effectively. If a user can attach a picture instead of automatic picture, this shall give a nice look and feel along with effective usability. 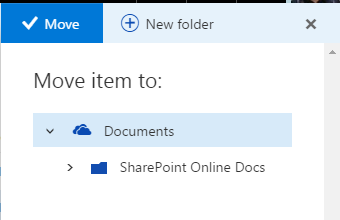 Using link feature, user can link a file from another SharePoint Online site or from One Drive and use this artifact along with its entire properties and workflows functionality. Link will automatically be security trimmed. User can choose among list and grid views. Other custom changes to views are similar. One of the great features is the functionality of recursive folder upload. It uploads folders, subfolder and their files. Submitted to Microsoft User Voice: After folder upload using drag drop is completed, view does not refresh itself automatically to show uploaded folder. An intuitive way for Move to and Copy to has made it easier for users to copy / move the files among other folders. 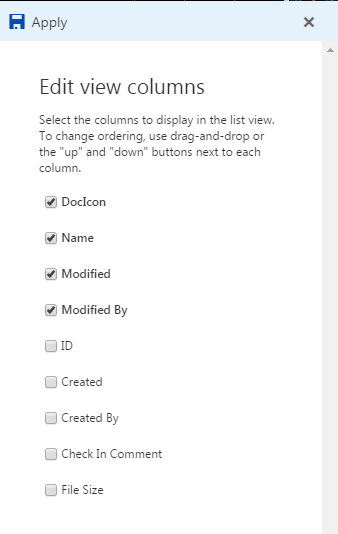 Submitted to Microsoft User Voice: Move to and Copy to do not render if Group by in views is selected. If for any reason (custom code / hard coded css fixes etc), you would like to switch back to classic version, you can go back by clicking to Switch to Classic View in bottom left of screen. Overall, I am glad to see new features and functionality. It seems that Microsoft has taken end user perspective into consideration and finally presented with much needed User Interface and Features. 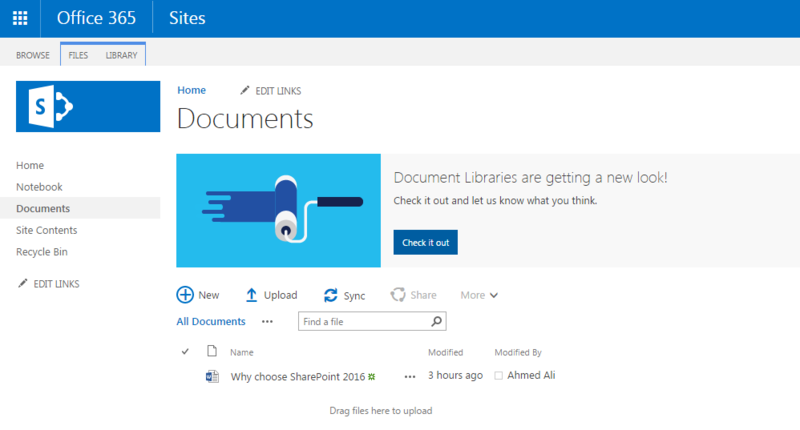 Following improvements / enhancements have been done in SharePoint 2016. SharePoint 2016 allows you to integrate with Office 365 and gives a overall hybrid experience. Following capabilities are extended during hybrid implementations. SharePoint 2016 App Launcher (One Drive) can be connected with Office 365 One Drive giving an integrated view of hybrid solution. This feature has been added in last release also i.e. 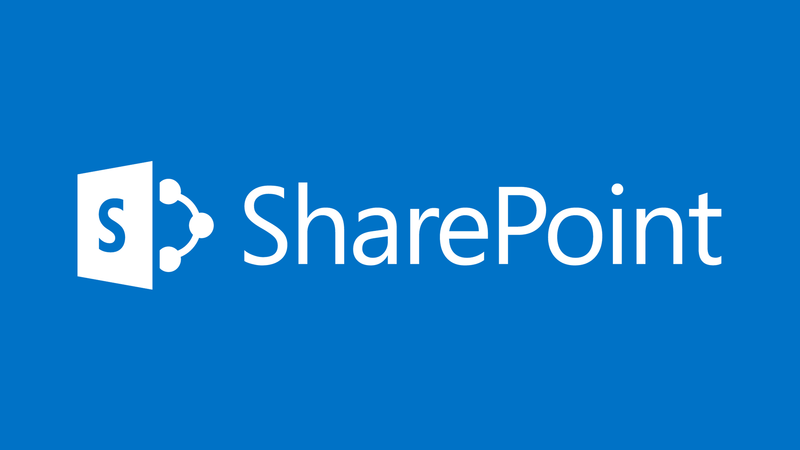 SharePoint 2013 – SP1. Whether you are following the sites in Office 365 or SharePoint 2016, a single site view would show list of all followed sites in single view. SharePoint Hybrid Team Sites must be configured to utilize this feature. SharePoint 2016 and Office 365 can now be integrated and can provide a unified search experience. User can also take the advantage of Delve and Office Graph to find contextual results. Hybrid search can also search for sensitive information like credit card and other confidential information using DLP (Data Loss Prevention) policies. You can implement DLP policies by creating an eDiscovery Center (site collection) and creating an eDiscovery case with in it (subsite). DLP Query can now be run on eDiscovery case to find all sensitive and personal data stored in a particular site. SharePoint 2016 offers identical UI as of Office 365 so that users can navigate without any hassle of learning different UI experience. This also motivates users to get more familiar with Office 365 experience in general. SharePoint 2016 search now supports up to double (500 million) items per Search Server Application than its predecessor SharePoint 2013 (250 million). SharePoint 2016 features a fast site collection creation. It can create site collection faster by saving the round trip between SharePoint and SQL Servers by using new templates at same location as SQL Server. Each site collection can also now store 5 time more information than its predecessor (SharePoint 2013). In earlier version, there has been a limit of 5000 items per view in List. You can increase the threshold limit however it will start to deteriorate the performance. Fix was to index the columns. For end users, this could be some time challenging. Hence Microsoft has added ‘Automatic Index Management’ to automate the process of creating indices so you can know take the advantage of large lists view without worrying of performance degradation. In SharePoint 2016, file name length and special characters restriction have been removed. SharePoint 2016 offer following flexibility during installation. In min role installation, you can specify specific role for server. Each server role has been optimized for its specific needs. Following roles are available with installation. Standalone installation has been replaced with Single Server Farm. Prior installation of SQL Server would be required as it’s not included in SQL Server Farm unlike Standalone installation. Using Zero Downtime patching in SharePoint 2016, SharePoint Administrator can now apply patches and cumulative updates without going offline. It works by distributing payload (patches, cumulative updates) in smaller chunks and installing specific chunks. All chunks must be in sequence to be installed. This greatly reduces the complexity of full patch being applied at once thus offering easier deployment with zero downtime. For more details, Zero Downtime Patching. SharePoint 2013 web applications can be upgraded to SharePoint 2016 by attaching SP 2013 database. Upgrade paths from SharePoint 2010 to SharePoint 2016 are not available. Web applications must be in SharePoint 2013 mode. Here is a brief video by Microsoft showcasing core features and real life usage of Power BI. Why you should upgrade to Office 2016? Here is a brief video by Microsoft showcasing core features and real life usage of SharePoint. How your sales team can take advantage of Microsoft Dynamics CRM ? Centillion is a recognized ISO 9001:2008 & OHSAS 18001:2007 certified development company with an aim to assist businesses with product design, development and support.